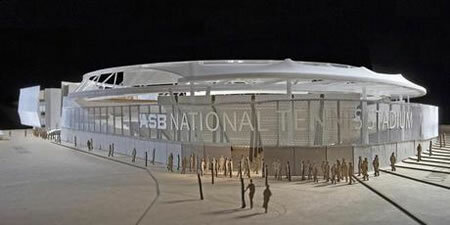 New Zealand is already famous as the real life Middle Earth from J.R.R. 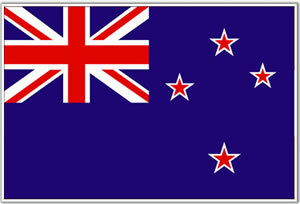 Tolkien’s popular fantasy series The Lord of the Rings. 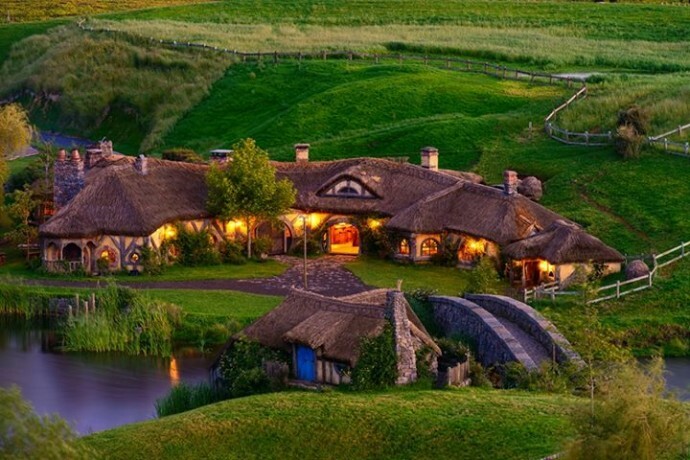 The Hobbiton Movie Set in Matamata will truly transport you to this mythical land. 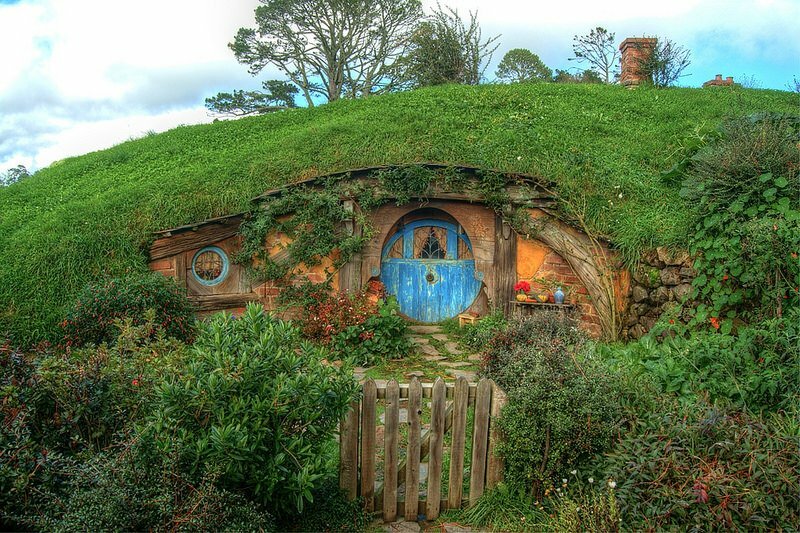 First opened in 2002, Hobbiton is now one of the most popular tourist spots in New Zealand. 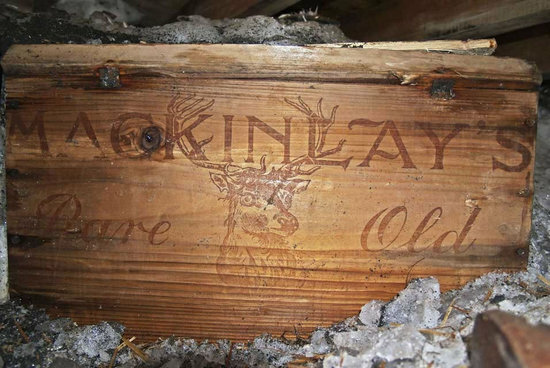 The 1,250-acre Alexander Farm boasts 37 hobbit holes, some big enough to explore while others are miniatures. 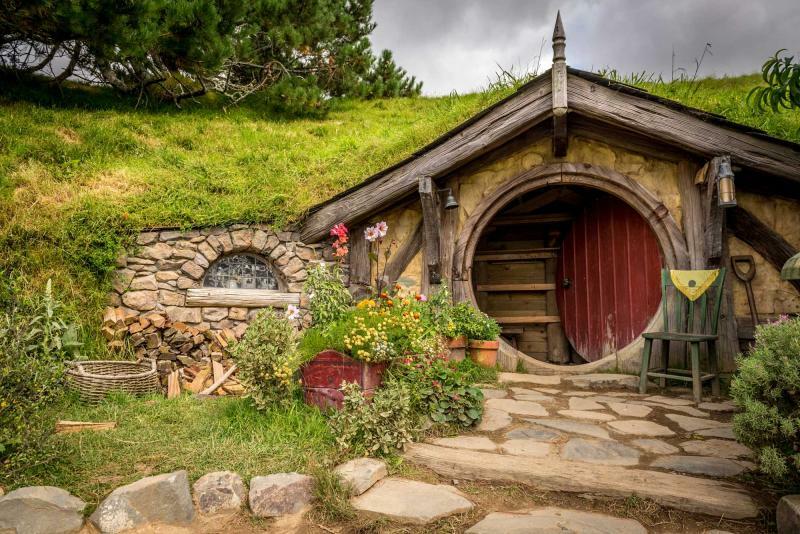 You can actually visit the home of Bilbo Baggins and see where Samwise Gamgee and Rosie Cotton lived. 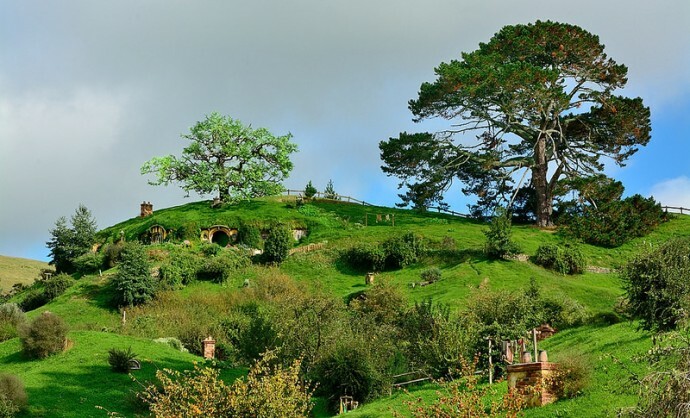 Outside the homes you can see evidence of the hobbits’ everyday lives from their cabbage gardens, smoked fish, honey pots and butterfly catchers, to the hobbit-sized shirts and pants hung on clotheslines to dry. Signs written in Hobbit-esque font direct visitors to destinations like the various boroughs and the Green Dragon Inn where the hobbits gather for a drink and a meal and discuss latest happenings in the Shire. 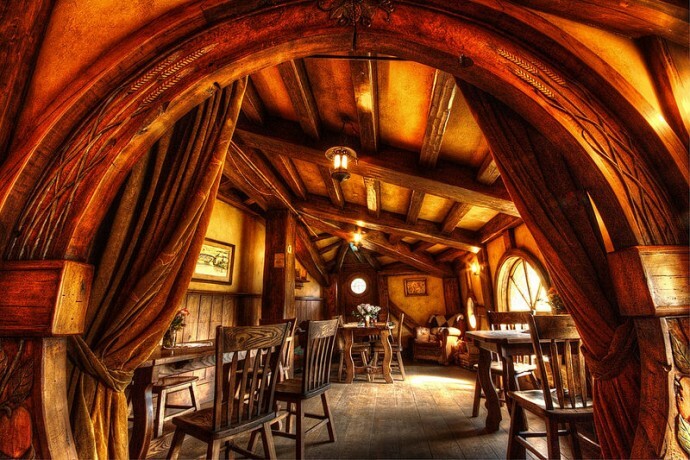 The inn is an exact replica of the one seen in the film and guests can sip a cup of beer or cider and try out traditional Hobbit fare like beef and ale pie. For $75 you can take a tour of the Hobbiton set including transport to and from the set, a drink at the Green Dragon Inn and a guide to give you inside details about the elaborate set. 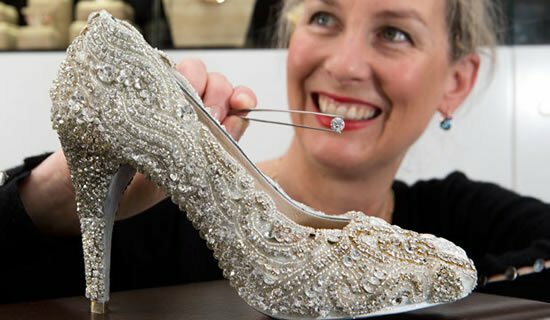 For $190 you can take the Evening Dinner Tour that lets you attend a banquet feast with Hobbit food, and includes a nighttime tour where you’ll be given a handheld lantern as you walk through an illuminated Hobbiton.